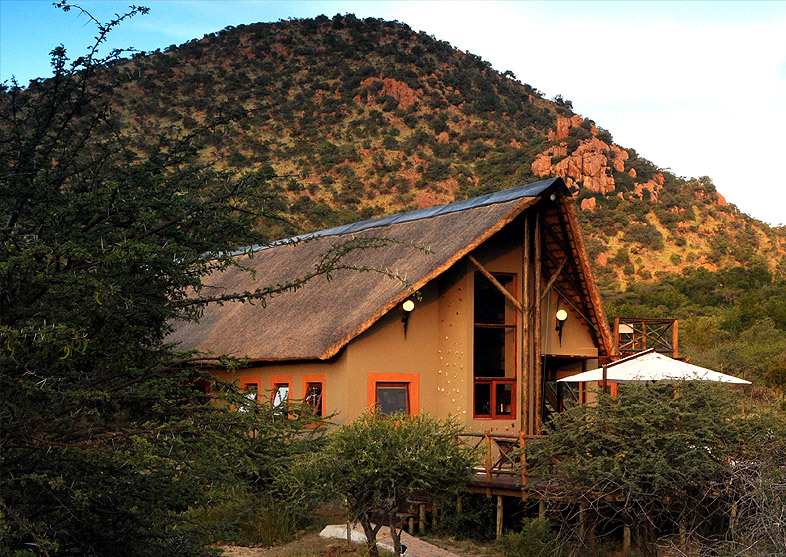 Looking onto the Pilanesberg Alkaline Ring Complex the Pilanesberg Private Lodge is situated in the exclusive Black Rhino Reserve. 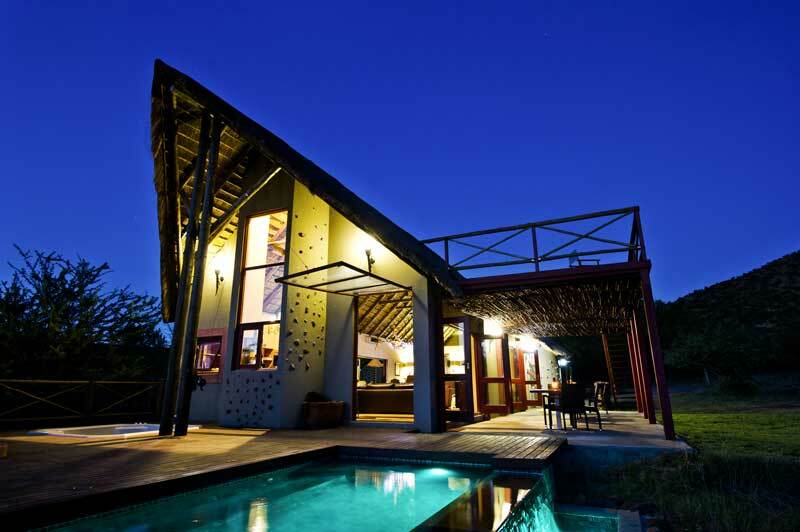 The area sits on the western border of the Pilanesberg National Park with exclusive access. There are no fences between any of the concessions. 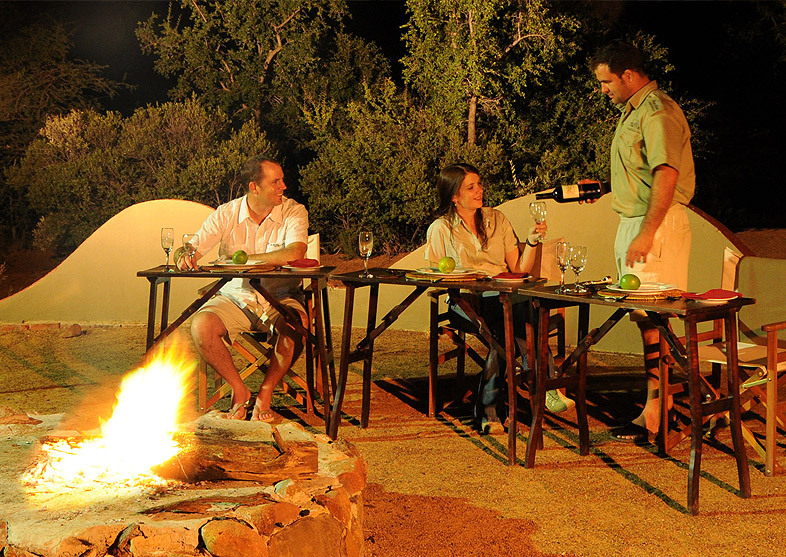 The view from the lodge not only offers beautiful landscapes; the Big 5 as well as African Wild Dogs have been spotted. 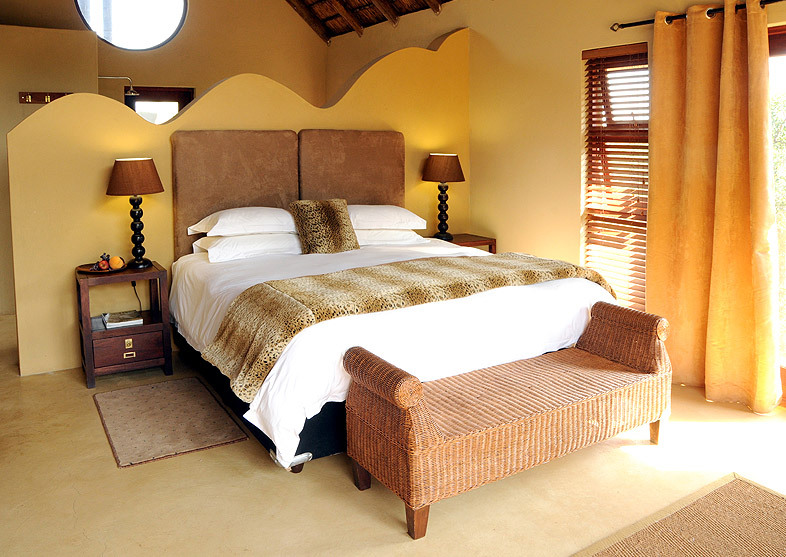 The lodge has five cosy chalets that are connected to the communal area though paved pathways and bridges. 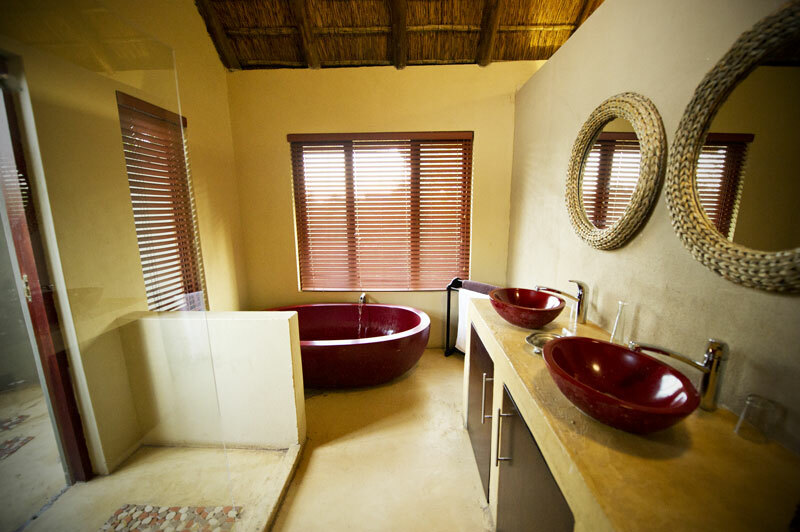 Unique features like rock baths and hand basins give the chalets an earthy yet luxurious feel. 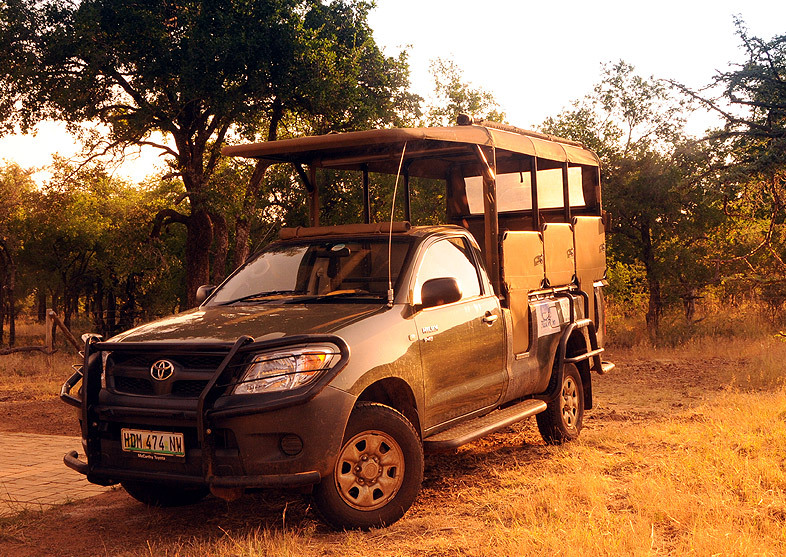 Experienced game rangers take you across the full expanse of the 57 000 hectares reserve. 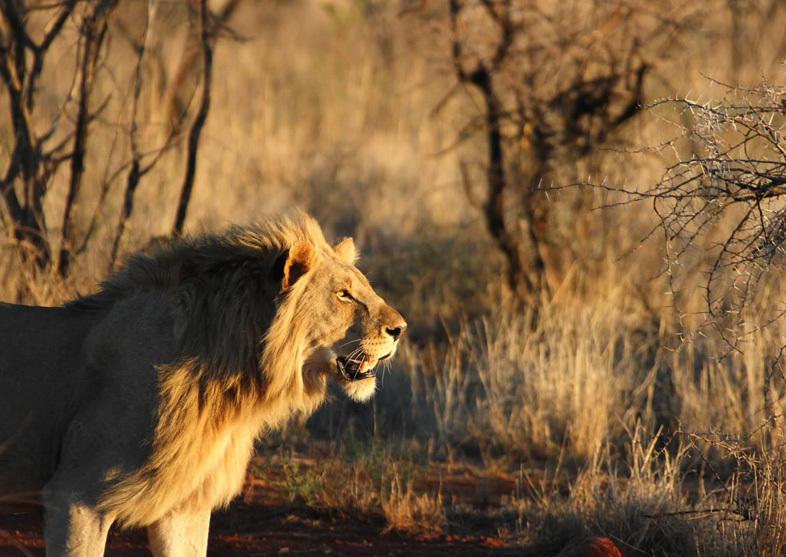 Pilanesberg is home to the Big 5 and most other game species of Southern Africa. The communal area gives visitors a comfortable place to relax and socialize. The viewing deck provides beautiful vistas of the surrounding wilderness and the famous Alkaline Ring Complex. 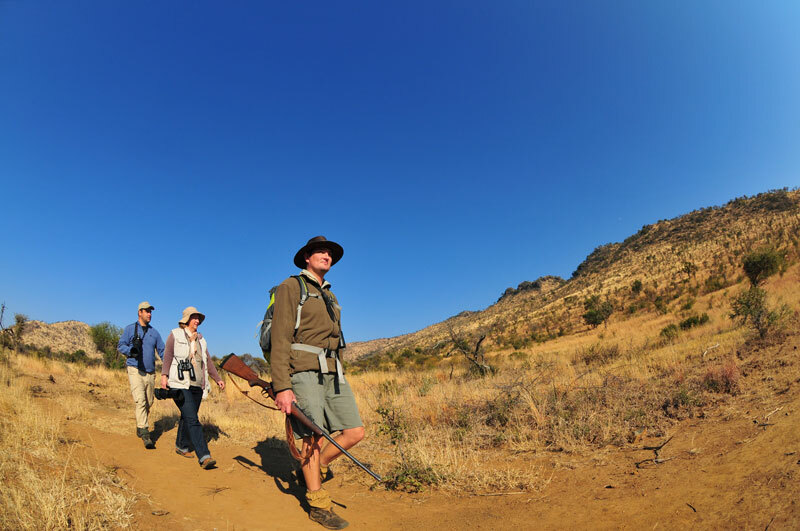 The location of the lodge allows guests to spot the Big 5 as well as the occasional wild dog from the comfort of the viewing deck. The pool deck is a welcome relief from hot summer days, while a fireplace keeps you warm at night. 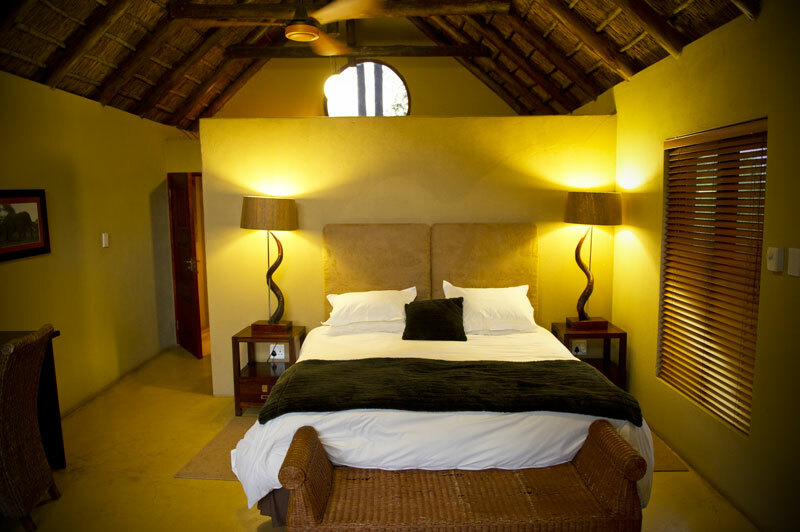 Pilanesberg Private Lodge is situated in the exclusive Black Rhino Reserve. 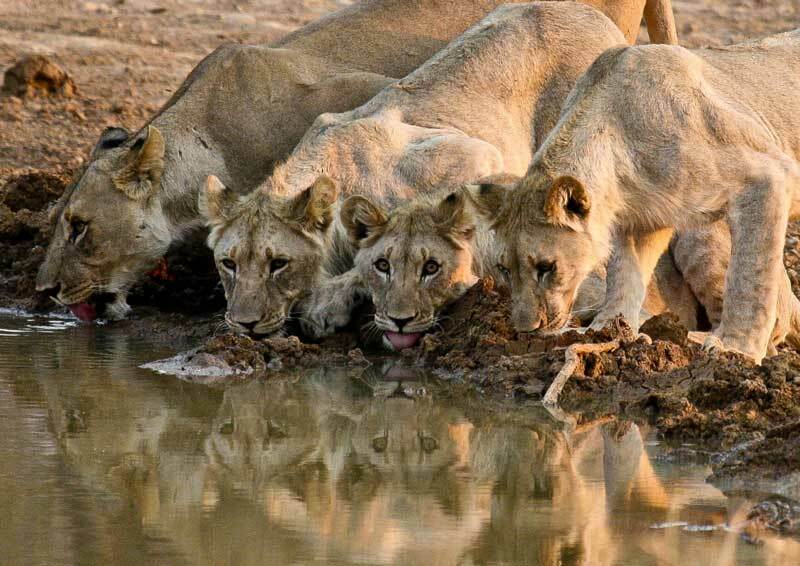 The reserve is home to a variety of big game species including lion, leopard, buffalo, elephant, white and black rhino, cheetah and the endangered African wild dog. This remote area is open exclusively to the guests of the lodge and enjoys the presence of many buffalo, who have taken a liking to this area of the park. 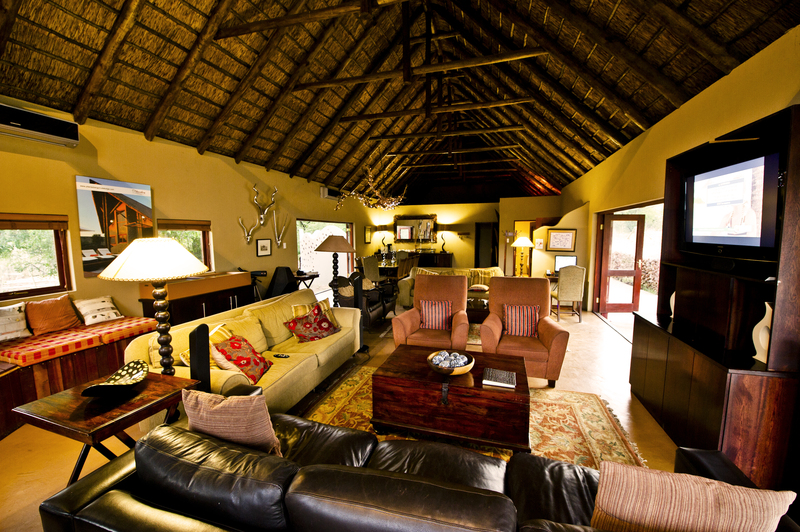 The lodge is situated 2 hours from Johannesburg and 20 minutes from Sun City. 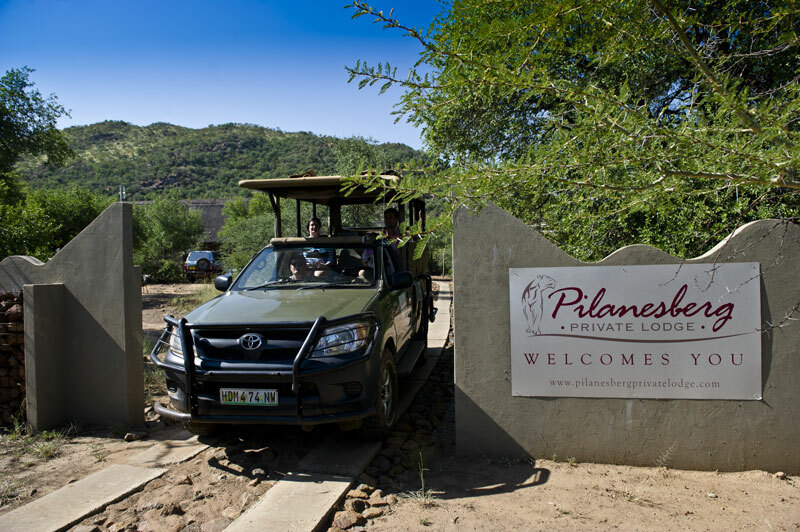 Pilanesberg Private Lodge is accessible through a private entrance on the western side of the reserve. Please check back for specials in the future or see our current specials here.